Home/Archives/‘Consciously Created Cinema’ Is on the Way! 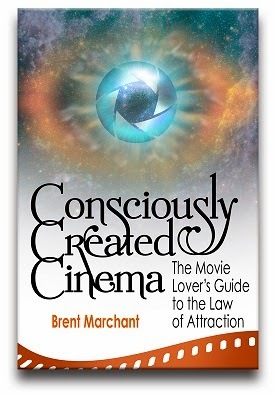 After several years’ work (and many hours in front of the silver screen), I’m very pleased to announce the upcoming release of my second book, Consciously Created Cinema: The Movie Lover’s Guide to the Law of Attraction. This new title, a followup to my first book, Get the Picture: Conscious Creation Goes to the Movies, will be available in ebook and print-on-demand softcover formats, with a launch projected for the second half of February. I’m very excited about this new release! Like its predecessor, Consciously Created Cinema examines how movies illustrate the principles of conscious creation (also known as the law of attraction). The book explores some of the concepts first raised in Get the Picture and introduces some new principles not examined before. And, as a followup book, Consciously Created Cinema does this by focusing on titles released during the time since the debut of its predecessor, from 2006 to the end of the 2012 movie awards season. Nearly all movie genres are featured, too, from comedy to drama to science fiction and even documentaries. It presents a delicious buffet of cinematic offerings, something sure to suit every taste! In the coming weeks, keep an eye out for further developments on the book’s release. Look for new pages about the book to be set up on Facebook and Google+, as well as ongoing announcements on LinkedIn and Twitter. You’ll be able to see when the book will be available and from which sellers, notices of upcoming media events about the book (such as radio interviews) and what others are saying about the book, including luminaries in the field of metaphysics and experts in the movie industry! And that’s just the beginning! I’m sure you’ll be pleased with this new release (I am!). So keep an eye on the aforementioned social media sites in the coming weeks to find out more. And, in the meantime, enjoy the show!